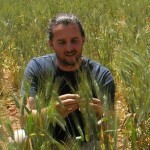 We released this new durum variety from the DBA ‘stable’ at the mid-north and SE crop walks. Spes, in Roman mythology, is the Goddess for Hope. Originally she was a nature Goddess – and hence initially represented the hope of fruitful gardens and fields, abundance and harvest, prosperity to come and good fortune in general. 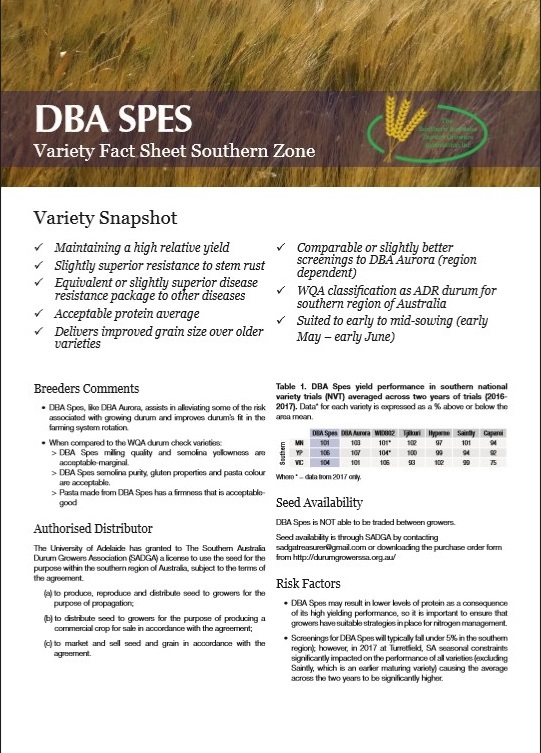 So here is hoping that DBA Spes is a good fit for many durum growers in the years ahead, just as Aurora has been and will continue to be. 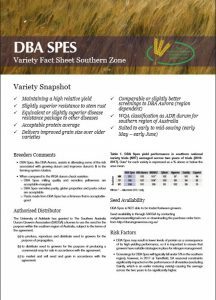 DBA Spes maintains a high relative yield potential, it has an equivalent or slightly superior disease resistance package (e.g. R for stem rust; MRMS for CCN), and has comparable or slightly better screenings levels than DBA Aurora (region dependent). 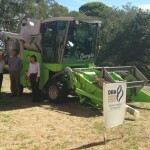 It has been classified ADR by Wheat Quality Australia.